Buenos Aires’ most famous graveyard, the Recoleta Cementery, is one of my favourite places in the city. Marble mausoleums and statues line the alleys and it is easy to get lost in the maze of paths and graves. If you look into any of the mausoleums, you can see the dusty coffins lying on shelves. 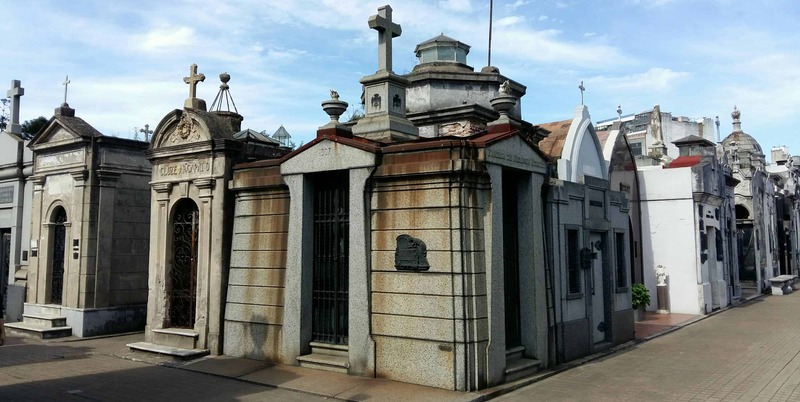 While most names written on the mausoleums will not ring a bell, there are also many famous people buried here, from former presidents to Evita. If you want to learn more about the people being put to rest here, consider joining a tour. The Zanjón de Granadas is a beautiful house located in the neighbourhood of San Telmo that sums up and explains the whole history of Buenos Aires. Constructed by a wealthy family that used to live here until the 19th century, it eventually became tenment housing before falling into disrepair. When a new owner started renovations, he discovered a series of tunnels underneath that dates from the 18th century and was once built to channel a small creek. You can visit both the restored house and the tunnels underneath on guided tours. 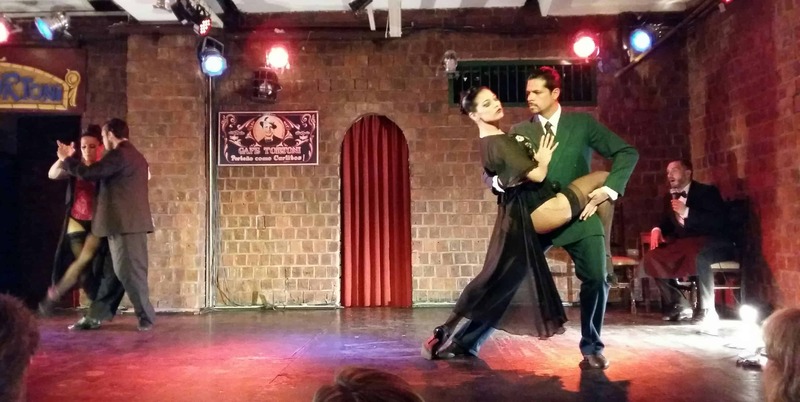 No matter how short your stay in Buenos Aires, you should try and watch a tango show. Buenos Aires is where tango was born in the 1880s and you will find shows all over the city. Just as shows vary wildly from one theatre to the next, prices also do, so do some research before buying tickets. We went to Cafe Tortoni. In their basement, they put on a great show of song and dance and we were left speechless as the couples whirled across the dance floor. Buenos Aires is famous for its architecture and the best place to see it is in Congreso and Retiro. Here, you will find palacios lined up next to each other, each one stunning in their own way. 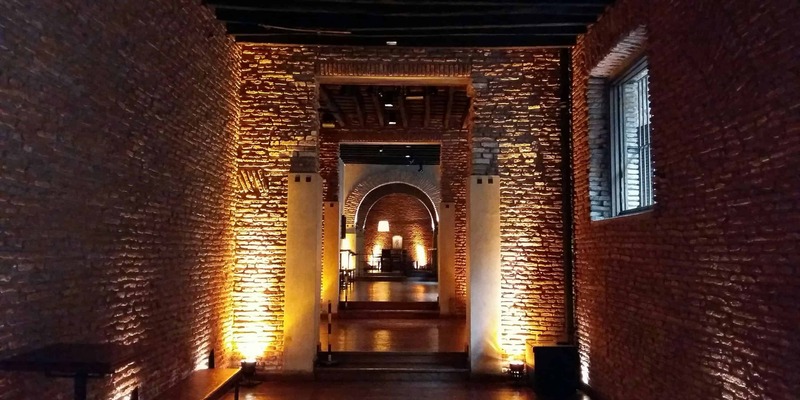 Some of those old buildings, like the Palacio San Martin, can be visited. Look up the hours of guided tours online before setting out. And while you’re in the area, also make sure to take a look at the Teatro Colon. Three architects were involved in building it. This is another building that can be visited on guided tours, but the better option is to buy a ticket for a show for about the same price as the tours. Argentines love meat and you will find many steakhouses around Buenos Aires. Called parrillas, they offer more variations of steak than I even knew existed. If you want to try different cuts and preparations, order a parrillada, a mixed grill platter. Also, ask in advance about how much meat you will be served. My friend and I shared a rump steak that turned out to be 600g and we were glad we didn’t order one each. Free walking tours are a great introduction to a city and will supply you with lots of information about history, culture and traditions. Also, guides often point out places worth visiting that only locals would know about. We did a tour of Congreso, Retiro and Recoleta, but there is also one available for the Microcentro. Google meeting place and meeting time to find out where to go. It is impossible to travel through Argentina without hearing the name of General San Martin. He played a central role in the Independence War and helped Argentina gain independence before moving on to Chile and Peru and doing the same there. While he died in Europe, his body was eventually moved to Argentina. It was put to rest in the Cathedral next to Plaza Mayo where you can now visit his grave. San Telmo, located south of the city centre, is full of historic buildings and cobblestone streets. 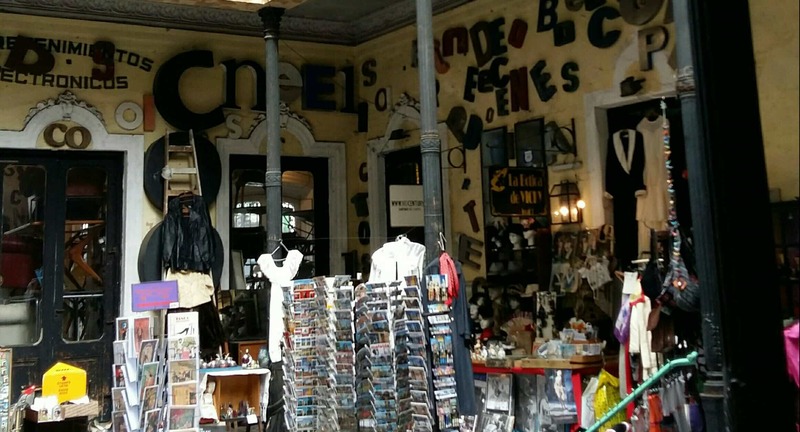 With its many antique stores and cafes, it has a Bohemian feel to it, especially if you come from one of the high-end neighbourhoods like Recoleta. The area used to be filled with mansions that were turned into cheap tenment housing when the rich left the area. Walk through the streets, duck into a cafe or eat a snack at the local market. Also, make sure to check out the Zanjón de Granadas that I mentioned above. The Money Museum, officially called Museo Histórico del Banco de la Provincia Buenos Aires Dr. Arturo Jauretcne, is a nice little museum located in the financial district. Entrance is free and in here, you can find a model reconstruction of the first bank of Argentina as well as some of the first money printed at the time. 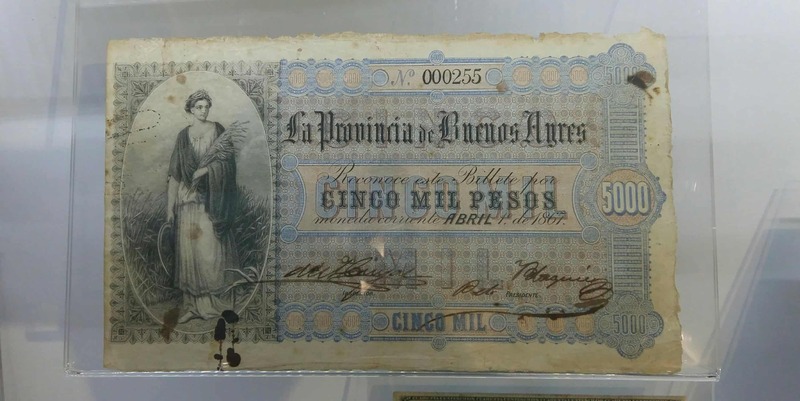 On one of the upper levels, in a series of drawers, you will find reminders of the inflation that is still a huge problem, with bank notes printed with values of up to half a million. El Caminito, in the neighbourhood of La Boca, is one of the most touristic places in Buenos Aires. Located along a couple of streets, you will find colourful houses, cafes and artists displaying their work. Also, you might be lucky and get to see a couple dancing tango for tips. The houses, painted in all colours, are worth enduring the many people trying to sell you everything from souvenirs to photos. Be very careful not to walk too far away from El Caminito as the area isn’t safe. We walked from San Telmo and got stopped by a police man who told us where to go and not to go (apparently, walking down south in a straight line is not a good idea). 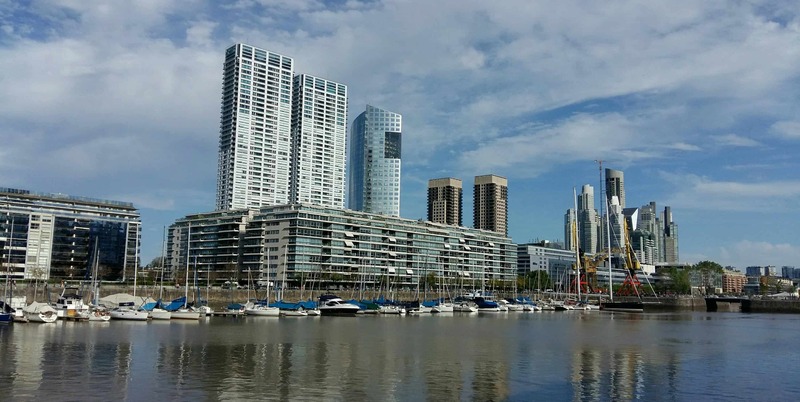 Puerto Madera is Buenos Aires’ newest neighbourhood. The river once flowed here, before the area was filled up and turned into a district of fancy apartment buildings and riverside cafes. On a sunny day, this is a great place to go for a walk and enjoy an ice cream. 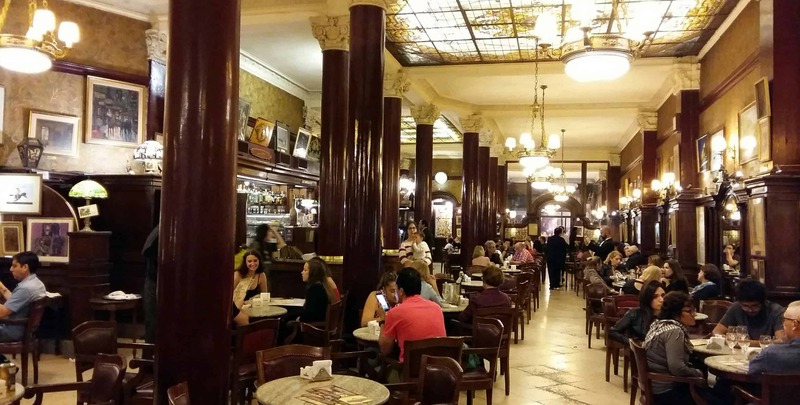 Cafe Tortoni is the oldest cafe in Argentina and its interior reminds of traditional cafes in Vienna. The menu, on the other hand, isn’t very Austrian, serving, besides many variations of coffee, mostly Argentinian food. I can highly recommend the churros con chocolate. Just don’t expect the chocolate to be as dense as in Spain. Of course, there are many more things to do in Buenos Aires. These are some of my highlights that I enjoyed. I would love to read some of your comments. What did you do in the city? What did you enjoy?